Even with Easter in the middle of April, reducing the number of concerts over the space of a fortnight, the month has a broad range of concerts. Here are the Top Ten performances we most want to hear for the month. 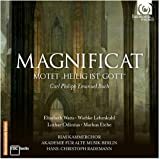 The group that may be the best early music ensemble in the world, the Akademie für alte Musik from Berlin, will appear at the Library of Congress (April 5) in a free concert. Their program is a survey of 18th-century works for orchestra, by J. S. Bach, Handel, C. P. E. Bach, and J. C. Bach. A few days later, Vocal Arts D.C. presents a recital by countertenor Iestyn Davies and lutenist Thomas Dunford (April 8) at the Kennedy Center Terrace Theater. Their program concentrates on Elizabethan ballads by Dowland, Purcell, Johnson, and Campion, as well as the local premiere of a work by Nico Muhly called Four Traditional Songs. Before the arrival of Christoph Eschenbach, Ionarts had dreams of James Conlon taking over the National Symphony Orchestra's music directorship. Although it didn't happen, we will take any chance to hear Conlon conduct, and he will take the ensemble's podium to lead music of Zemlinksy and Brahms, plus Korngold's violin concerto with soloist Gil Shaham (April 10 to 12) in the Kennedy Center Concert Hall. Another conductor we would have loved the NSO to snag was Osmo Vänskä, who comes later in the month (April 24 to 26) to conduct the local band, with music by Mendelssohn and Sibelius, plus a clarinet concerto by Aho with Martin Fröst as soloist. You may recall Yekwon Sunwoo as the winner of the Kapell Competition two years ago. He has been making the rounds, playing the big concertos, and he comes to the Baltimore Symphony Orchestra with Rachmaninoff's Rhapsody on a Theme of Paganini. Music director Marin Alsop returns (yet again) to Mahler's first symphony on the same program (April 24 and 27). We will likely be back at the Library of Congress for the free recital by cellist Daniel Müller-Schott and pianist Simon Trpčeski, playing sonatas by Beethoven, Brahms, and Chopin (April 24). After his debut recital here two years ago, we would not want to miss the recital by British pianist Benjamin Grosvenor, presented by WPAS in the Kennedy Center Terrace Theater (April 29). From the local groups, take the Rameau concert by Opera Lafayette (April 30) in the Kennedy Center Terrace Theater. Washington plays host to two important festivals devoted to contemporary music. 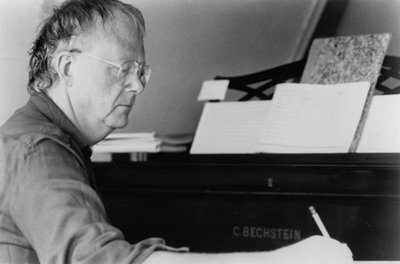 The Atlas Performing Arts Center offers a series of concerts (April 6 to 13) featuring music by Louis Andriessen (b. 1939), in conjunction with other local organizations, including the Great Noise Ensemble, National Gallery of Art, and Strathmore, all in honor of the Dutch composer's 75th birthday. At the same time, British composer Oliver Knussen will be in residence at the Library of Congress, leading free concerts by the Birmingham Contemporary Music Group (April 7 to 12). In the midst of it, composer-clarinetist Jörg Widmann will give a concert of his own music with the Chamber Music Society of Lincoln Center (April 10). April also features visits by two ballet companies we will want to see, both with live music performed by the Kennedy Center Opera House Orchestra. The New York City Ballet will perform Jewels, the choreography by George Balanchine (April 1 and 4 to 6), plus a mixed-repertory program centered on Namouna, A Grand Divertissement, with choreography by Alexei Ratmansky and music by Lalo (April 2 and 3). That is followed by the American Ballet Theater in its own mixed repertory program centered on Fokine's Les Sylphides and Frederick Ashton's The Dream, based on A Midsummer Night's Dream, with music by Mendelssohn (April 15 and 16), plus Minkus's Don Quixote (April 17 to 20), in the Petipa/Gorsky choreography. Hei-Kyung Hong @ Vocal Arts D.C.
Ionarts-at-Large: WAM. DSCH. Cold. Hot.